Dallas-Fort Worth-Arlington ranked no. 9 in patent production out of 250 metros nationally. Check out patents granted to Facebook, Samsung, Lockheed Martin, Lennox Industries, and more. The USPTO granted Facebook Inc. a patent for location-based content aggregation and distribution. 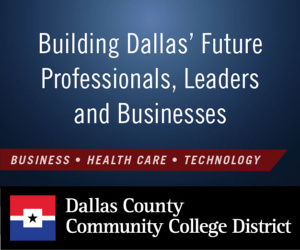 Brian F. Roberts and Donald H. Relyea of Dallas and Kristopher T. Frazier of Frisco were listed inventors. 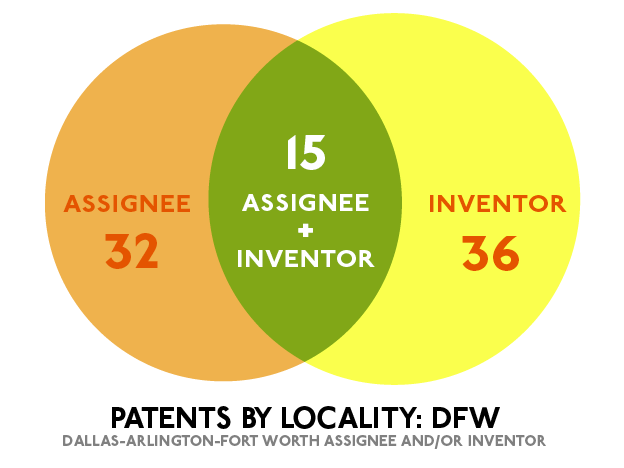 Dallas Invents is a weekly look at U.S. patents granted with a connection to the Dallas-Fort Worth-Arlington metro area. 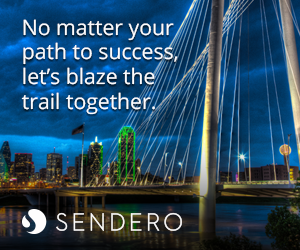 Listings include patents granted to local assignees and/or those with a North Texas inventor. Patent activity can be an indicator of future economic growth, as well as the development of emerging markets and talent attraction. By tracking both inventors and assignees in the region, we aim to provide a broader view of the region’s inventive activity. Abstract: A two or more subject retractable leash, and methods of use thereof, is disclosed, which includes a roll-back feature on each retractable leash. The leashes may be locked in place by engaging a single lever. The leashes retract regardless of whether the spools are locked or unlocked. Each leash retracts independently of the other leashes, such that a dual leash may be used to walk one subject. In some embodiments, a single subject retractable leash includes a roll-back feature that provides and allows for leash retraction, whether or not a brake associated with a spool thereof is engaged. Abstract: A matchbox oven is disclosed. The matchbox oven includes a housing, a slider, a mover and a heat source. The housing includes a cavity having a first and second openings. The mover moves the slider in and out of the cavity through the first and second openings. The heat source provides heat to the cavity for heating up any food item placed on a portion of the slider located within the cavity. The slider, which is configured to receive food items Includes multiple stoppers to serve as oven covers for preventing heat within the cavity from escaping through the first and second openings. When necessary, a portion of the slider can also be utilized as a heat sink for lowering the temperature of the cavity during oven operation. Abstract: Systems and methods for the treatment of gastroesophageal reflux disease (GERD) include at least one electrically stimulating electrode coupled to a pulse generator. Individuals with GERD are treated by implanting a stimulation device within and/or proximate the patient’s lower esophageal sphincter, gastric fundus, or other nearby gastrointestinal structures and applying electrical stimulation to the patient’s lower esophageal sphincter and/or fundus, in accordance with certain predefined protocols. Electrical stimulation provided by the disclosed systems results in an increase in the length of the high pressure zone of the LES and/or modulation of the receptive relaxation response of the fundus to decrease gastric pressure, creating a longer barrier to the reflux of gastric contents or increasing functional lower esophageal pressure respectively, thereby treating GERD. Abstract: Presented herein is a restraint system comprising an attachment point configured to attach to a hatch opening of a vehicle, a harness having a seat and a strap attached to the attachment point and to the seat. The harness is configured to accept an occupant and support a portion of the occupant at a position below the hatch opening. The restraint system further comprises an energy absorption mechanism configured to dampen rapid acceleration or deceleration of the occupant. The strap is attached to the attachment point by a quick release mechanism. The energy absorption mechanism may comprise a retraction mechanism having a damper mechanism that is a spring, a coil spring, a viscous fluid, a fluid having a dynamically changeable viscosity or a magnetorheological fluid. The energy absorption mechanism may comprise tear-away sections configured to dampen vehicle motion energy. Abstract: A roller shade may be retracted and extended. In various implementations, when a roller shade is extended it may be laterally repositioned. The roller shade may include a track and a travelling member. Abstract: Described are passenger seats with a seat pan (12) releasably coupled to a seat frame (14) via at least one coupling device (20), which includes a ramp (22) mounted on a lower surface (36) of the seat pan (12) and a latch (42) pivotally coupled to an open end of the ramp (22). The latch (42) includes a flap configured to substantially cover the open end of the ramp (22) when the latch (42) is in a closed position, and a handle (48) that is accessible from an upper surface of the seat pan (12) via an aperture (50) in the seat pan (12). The coupling device also includes a spring (44) configured to position the latch (42) in the closed position until a force is applied to the handle (48) to rotate the latch (42) to an open position. Abstract: A vehicle axle body is provided for incorporation into a vehicle axle. The vehicle axle body may be comprised of first and second axle body pieces. The first axle body piece may define at least a portion of a lower surface of the vehicle axle body and at least a portion of one of a front surface and a rear surface of the vehicle axle body. The second axle body piece is secured to the first axle body piece and may define at least a portion of an upper surface of the vehicle axle body and at least a portion of the other one of the front surface and the rear surface of the vehicle axle body. The thickness of the first and second axle body pieces may be different. Suspension component supports may be integrally formed with the upper and/or bottom surfaces of the axle body. Abstract: An apparatus, system, and method of using the apparatus and system may generally include a strap or retention device. A first end of a fastener is operatively coupled to the strap that is configured to retain a cargo contactingly adjacent a cargo support surface. A second end of the fastener is operatively coupled to the first end. The second end has an inner surface and an opposing, outer surface. The inner surface provides a recess feature configured to receive a magnet that is configured to support the second end adjacent a side of the cargo support surface. The inner surface provides a recess feature configured to receive a magnet that is configured to support the second end adjacent a side of the cargo support surface, wherein the side does not produce its own magnetic field. Abstract: A coaxial, dual rotor system includes a first rotor assembly positioned at a rotor axis. A first rotor quill shaft is operably connected to the first rotor assembly at the rotor axis to drive rotation of the first rotor assembly about the rotor axis. A nonrotating static mast extends along the rotor axis through the first rotor quill shaft. A second rotor assembly is positioned at the rotor axis. A second rotor quill shaft is operably connected to the second rotor assembly to drive rotation of the second rotor assembly about the rotor axis. The second rotor quill shaft is coaxial with the first rotor quill shaft and disposed inside of the static mast. A second rotor bearing is positioned between the second rotor assembly and the static mast to transfer loads from the second rotor assembly to the static mast. Abstract: Proppants for hydraulic fracturing of oil and gas wells have a polymeric coating that is strengthened with reinforcing particulates that are reactive with, or chemically bonded to, the polymeric proppant coating. Preferably, these particulates are added into the coating during the coating process. In one embodiment, functionalized particulates are used that become grafted into the polymer of the proppant coating through the chemical functionality imparted to the particulates. If non-functionalized particulates are used, a coupling agent is preferably added to enhance the bond strength between the added particulates and the polymeric matrix of the proppant coating. Abstract: Anti-wear and/or friction reducing formulations that include a mixture of at least one first ionic liquid and at least one ashless antiwear compound. The ashless antiwear compound can be a second ionic liquid or an ashless thiophosphate compound. The formulation desirably provides synergistic anti-wear and/or friction reducing properties. The first IL can be a monocationic ionic liquid or a dicationic ionic liquid. The second IL is a dicationic ionic liquid. The ashless thiophosphate is desirably a thiophosphate, such as a fluorothiophosphate (FTP), an alkylphosphorofluoridothiolate, or an alkylthioperoxydithiophosphate. Antiwear and/or friction reduction formulations comprising the above mixtures diluted up to 25% by weight in a base oil. Abstract: It is sometimes desirable to differentially regulate fluid flow in a subterranean formation using autonomous inflow control devices (AICDs), but they are not readily configurable in the field at present. Wellbore systems providing adjustable flow control may comprise: a wellbore pipe having a flow control assembly fixedly coupled thereto, the wellbore pipe having an interior space, an outer surface, and one or more AICDs establishing a fluid connection between the interior space and the outer surface of the wellbore pipe, and the flow control assembly comprising one or more flow chambers defined on the outer surface about the one or more AICDs, one or more inlets being fluidly connected to the one or more flow chambers; wherein the one or more inlets are configured to accept a plug for occluding fluid flow therethrough, so as to limit access of a fluid to an entry location of the AICDs. 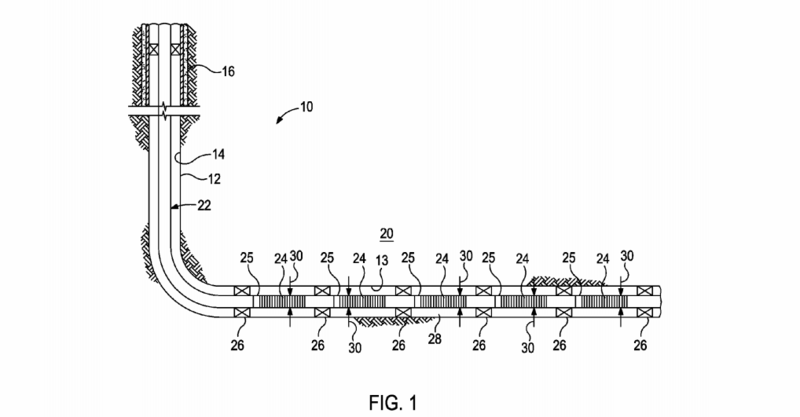 Abstract: In accordance with some embodiments of the present disclosure, a screened communication connector for a production tubing joint is disclosed. The screened communication connector including a hollow body including a plurality of holes to block particulate material from passing therethrough and allow fluid to pass therethrough. The screened communication connector additionally includes a first axial end of the hollow body including a first seal member for creating a particle tight seal between the first axial end and a first screen joint. The screened communication connector additionally includes a second axial end of the hollow body, the second axial end including a second seal member for creating a particle tight seal between the second axial end and a second screen joint. Abstract: A method of forming an entry guide at an end of a tubular string in a wellbore can include conveying a forming device into the wellbore, and deforming the end of the tubular string from a cylindrical shape to an outwardly widening shape with the forming device. A method of forming an entry guide at an end of an expanded liner hanger in a wellbore can include outwardly expanding the liner hanger, thereby sealingly securing a tubular string in the wellbore, and deforming the end of the liner hanger from a cylindrical shape to an outwardly widening shape with a forming device. Abstract: A shaped charge that includes a case, a liner positioned within the case, and an explosive filled within the case. The liner is shaped with a subtended angle ranging from 100 to 120 about an apex, a radius, and an aspect ratio such that a jet formed with the explosive creates an entrance hole in a well casing. The jet creates a perforation tunnel in a hydrocarbon formation, wherein a diameter of the jet, a diameter of the entrance hole diameter, and a width and length of the perforation tunnel are substantially constant and unaffected with changes in design and environmental factors such as a thickness and composition of the well casing, position of the charge in the perforating gun, position of the perforating gun in the well casing, a water gap in the wellbore casing, and type of the hydrocarbon formation. Abstract: An electrical submersible well pump assembly includes a pump driven by an electrical motor. A string of tubing connects to the well pump assembly and extends to an upper end of a well. A power cable installed in the tubing has three insulated electrical conductors embedded within an elastomeric jacket. A metal strip has turns wrapped helically around the jacket. The metal strip is compressed between the jacket and the tubing to cause the power cable to frictionally grip the tubing. Abstract: A system for recovering hydrocarbons comprises a downhole steam generator for coupling with a packer in an injector well, an umbilical device coupled to the downhole steam generator for lifting or lowering the downhole steam generator in the injector well, a first shear point disposed between the downhole steam generator and the packer, and a second shear point disposed between the umbilical device and the downhole steam generator, wherein the first shear point has a shear strength that is different than a shear strength of the second shear point. Abstract: A wellbore system can include a completion assembly having a completion string. The system can also include a service string that can be positioned within an inner diameter of the completion string. A location-sensing component can be positioned on the completion string or the service string. A communication link communicatively coupled with the location-sensing component can transmit signals representing a stimuli detected by the location-sensing component. A stimuli-producing device can output the stimuli that is detected by the location-sensing component. A stimuli-producing device can be positioned on the other of the completion string or the service string. Abstract: A wellbore servicing system comprising two or more sensing, tool nodes is disclosed herein. Each of the sensing, tool nodes are configured to selectively allow, disallow, or alter a route of fluid communication between an axial flowbore thereof and an exterior thereof via one or more ports. Each of the sensing, tool nodes is further configured to monitor at least one parameter. The system also includes a logging controller node wherein the logging controller node communicates with the sensing, tool nodes via a near field communication (NFC) signal. Abstract: A power generation system includes a ram air turbine that is connected to a generator. The power generation system may be located in a pod, for example a pod for mounting on an aircraft. The ram air turbine receives air that passes through an air path through the pod, going in through an air inlet, through the turbine to turn the turbine, and out through an air outlet. The system includes a deployable flow obstruction, such as one or more airbags, that are deployable to suddenly obstruct the flow through the air path. The obstruction may be used to cut off flow (or greatly reduce flow), when overspeed of the ram air turbine is detected. The obstruction deploys (for example, airbags deploy in an air inlet of the system) to prevent continuation of the overspeed operation of the turbine, which may damage parts of the system. Abstract: A flow control assembly can include a pilot-operated valve and a pilot control valve. The pilot-operated valve includes a closure element between inlet port and outlet ports of the pilot-operated valve and an actuating element adjacent to the closure element. The closure element can move between an open position allowing fluid flow between the inlet and outlet ports and a closed position preventing fluid flow between the inlet and outlet ports. A pilot pressure communicated to the actuating element can cause the actuating element to apply force that moves the closure element to the open position. The pilot control valve can include a closure element between inlet port and outlet ports of the pilot control valve. Communicating an actuation pressure to the closure element of the pilot control valve can open the pilot control valve. Opening the pilot control valve can allow communication of pilot pressure to the pilot-operated valve. Abstract: Applicants have created systems, methods, and apparatuses for increasing the production of fluid from a subterranean well. The system can include a controller and upper and lower portions. The upper portion can include an injection valve for regulating the amount of a first gas injected into an injection conduit. The lower portion can include a chamber valve for regulating the flow of a second gas through an upper tubing string and a vent valve for regulating the flow of the first gas and a standing valve. The collected fluid creates pressure in the lower portion causing the second gas to flow from the lower tubing string to the upper tubing string. The controller controls the injection valve and is coupled to a pressure gauge for measuring pressure in the lower portion. With the aid of this system, well operators can increase production of subterranean well formations, such as gas wells, without increasing backpressure on those formations. Abstract: Fans having fan blades with lightweight blade tips are disclosed herein. In one embodiment, for example, each fan blade includes a blade tip attached to an end portion of a main airfoil. The blade tip includes a shaped body that is molded over a support structure to form the shape and exterior surface of the blade tip. Abstract: A plug assembly configured for installation in a hammer assembly, the plug assembly comprising a cylindrical plug and an anti-rotation component. The cylindrical plug may include a plug head and a plug body. The cylindrical plug may include a receiving feature located in the plug head. 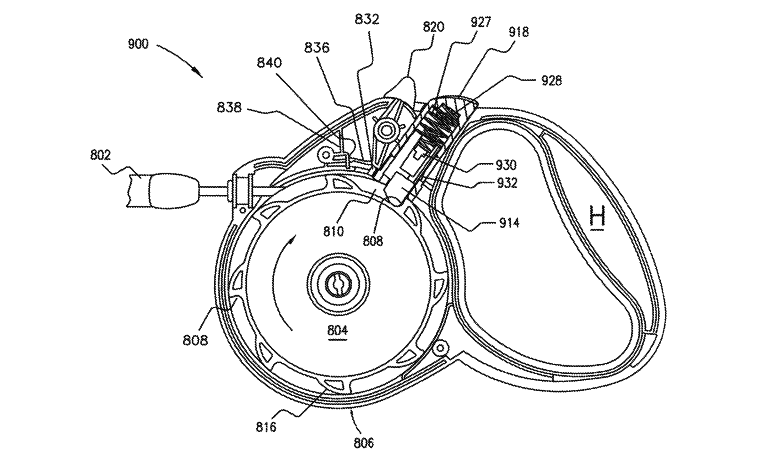 The anti-rotation component may include a first locking feature and a second locking feature. The first locking feature may be configured to fixably engage with the receiving feature. The second locking feature may be configured to engage with the hammer assembly. Abstract: An emergency shut-off valve includes a valve body defining an inlet, an outlet, a valve port between the inlet and the outlet, and an aperture. A valve assembly is positioned partially within the valve body and extends through the aperture. An actuator assembly is operatively coupled to the valve assembly to move the valve assembly between an open position and a closed position and includes a poppet and a rotatable shaft. The poppet is disposed within the valve body and is moveable between an open position that allows the flow of fluid through the valve body and a closed position that prevents the flow of fluid through the valve body. The shaft is coupled to the poppet and has a retaining member positioned within a slot in an arm of the poppet to prevent the poppet from being removed from the shaft. Abstract: A heating, ventilating and air conditioning (HVAC) unit. The unit comprises a heat exchanger or drain pan located inside a HVAC housing that has one or more access openings and ultraviolet light-sensitive components therein. The unit also comprises a light located inside of the HVAC housing and a light shield located between the heat exchanger or drain pan and the light source. The light source includes a network of open-ended cells, each cell having ultraviolet light reflective walls. The light shield is oriented to direct an ultraviolet light from the light source through the open-ended cells towards the heat exchanger or drain pan and away from the one or more access openings and ultraviolet light-sensitive components. Abstract: The present application provides a refrigeration system using a flow of a carbon dioxide refrigerant. The refrigeration system may include a flash tank, a number of temperature suction compressors for a temperature suction cycle, and a flash gas bypass system positioned between the flash tank and the cycle compressors. The flash gas bypass system may include one or more oversized flash gas compressors so as to alternate between the temperature suction cycle and a flash tank suction cycle. Abstract: The preferred embodiment provides an ultra-wide band radio frequency real-time location system (RTLS), synchronized with a GPS location system to provide reliable location data, in and around concrete and steel superstructures to a BIM graphic model system, to gather and display worker location data and coordinate its display for use. The RTLS system continuously locates each participant through the use of an active RFID tag and/or GPS location device, which may be placed in a personnel badge and verified. The location system logs the participant locations in a database for real-time information retrieval and upload into a BIM display system. Abstract: The present invention is dedicated to a method for the manufacture of an optical article comprising the following steps: providing a substrate having two main faces and bearing OH functions on at least one of its faces, successively exposing one face of the substrate bearing OH functions to at least 2 distinct materials named M1 and M2, M1 having a weight average molecular weight higher than M2, in a vacuum chamber under conditions resulting in the deposit of those materials on the surface of the substrate, and wherein: M1 is a substituted silane comprising: at least one function X1 bonded to a silicon atom, wherein the SiX1 group is capable of forming a covalent bond with a OH group of the substrate and/or a covalent bond with M2, and at least one fluorine containing group, M2 is a substituted silane having a number average molecular weight inferior or equal to 900 g/mol, comprising: at least one function X2 bonded to a silicon atom, wherein the SiX2 group is capable of forming a covalent bond with a OH group of the substrate and/or a covalent bond with M1, and at least one hydrophobic and/or oleophobic group, or at least one hydrophilic group, wherein the difference between the weight average molecular weight of M1 and the weight average molecular weight of M2 is higher than or equal to 600 g/mol. [G02B] OPTICAL ELEMENTS, SYSTEMS, OR APPARATUS (G02F takes precedence; optical elements specially adapted for use in lighting devices or systems thereof F21V 1/00-F21V 13/00; measuring-instruments, see the relevant subclass of class G01, e.g. Abstract: A power unit includes a power distribution member and an interchangeable adapter configured to be deployed in an equipment rack of a distributed computing system. The power distribution member includes multiple power outlets to provide electrical power to a plurality of devices disposed in the equipment rack at a first current rating and phase type configuration, and a first connector having a plurality of first electrical contacts that are electrically coupled to the power outlets. The interchangeable adapter includes a second connector to be coupled to the first connector in which the second connector has multiple second contacts that are arranged to mate with certain ones of the first electrical contacts such that one of a plurality of different electrical power sources having a second current rating and phase type configuration is provided to the power outlets at the first current rating and phase type configuration. Abstract: Methods, apparatuses, and computer program products are herein provided for improving operation of a device based upon user interaction. A method may include receiving user input. The method may further include determining a user state value based at least in part on the received user input, wherein the user state value corresponds to a patience level of the user with the current rate of operation of the device. The method may further include causing modification in the operation of the device based at least in part on comparison of the user state value to a threshold user state value. Corresponding apparatuses and computer program products are also provided. Abstract: A storage device and method for enabling hidden functionality are provided. In one embodiment, a storage device is provided comprising an interface a memory, and a controller. The controller is configured to receive a series of read and/or write commands to the memory from the host device. If the series of read and/or write commands received from the host device matches an expected pattern of read and/or write commands, irrespective what data is being read or written by those commands, the controller enables a special functionality mode of the storage device. Other embodiments are possible, and each of the embodiments can be used alone or together in combination. Abstract: A method and apparatus are disclosed for network resource virtual partitioning. An embodiment method includes mapping a plurality of hardware functions at a plurality of physical network interface devices into a plurality of virtual partitions (VPs) implemented using software, wherein the VPs are configured to manage and operate independent from one another the corresponding hardware functions at the physical network interface devises. An embodiment apparatus includes a processor configured to aggregate a plurality of hardware functions at a plurality of physical network interface devices into a plurality of virtual partition aggregations (VPAs), wherein the VPAs are configured to manage and operate independent from one another a plurality of corresponding subsets of the hardware functions to serve one or more clients. Abstract: The technology disclosed enables understanding the user experience of accessing a web page under high loads. A testing system generates a simulated load by retrieving and loading a single web object. A performance snapshot is taken of accessing an entire web page from the server under load. The performance snapshot may be performed by emulating a browser accessing a web page’s URL, the web page comprising multiple objects that are independently retrieved and loaded. The simulated load is configured with a number of users per region of the world where the user load will originate, and a single object from the web page to retrieve. Performance data such as response time for the single object retrieved, number of hits per second, number of timeouts per sec, and errors per second may be recorded and reported. An optimal number of users may be determined to achieve a target user experience goal. Abstract: A memory system or flash card may include an algorithm or process for managing the handling of large tables in memory. A delta may be used for each table to accumulate updates. There may be a plurality of deltas for a multi-level delta structure. In one example, the first level delta is stored in random access memory (RAM), while the other level deltas are stored in the flash memory. Multiple-level deltas may improve the number of flash writes and reduce the number and amount of each flush to the actual table in flash. The use of multi-level deltas may improve performance by more efficiently writing to the table in flash. Abstract: In an embedded system, there are a plurality of data requesting devices, a plurality of data sources and a bus fabric interconnecting the data requesting devices and the data sources, wherein the bus fabric comprises a plurality of bus components. Some or all of the data sources and arbitration devices associated with the bus components resolve contentions between data bursts by selecting a first one of the contending data bursts; determining a length of a critical section of the first selected data burst; and processing the critical section of the selected data burst. Then, a second one of the contending data bursts is selected, a length of a critical section of the second selected data burst is determined, and the critical section of the second selected data burst is processed before a non-critical section of the selected data burst. Abstract: Embodiments described herein are used to automatically generate a list of searchable terms from any text set, as text found in a repository of information, that then can be used in a variety of applications, from providing search results, to analyzing data sets, to building a variety of text generation tools, such as messaging and emails. Abstract: The present disclosure involves a method. A request is received from a user to participate in an electronic social network. In response to the receiving of the request, a user is prompted to upload a digital picture that is representative of the user. An uploaded digital picture is uploaded in response to the prompting. The uploaded digital picture of the user is scanned for human faces. The user is prompted to upload a different digital picture that is representative of the user if the scanning indicates that the uploaded digital picture contains no human faces. The user is prompted to identify the human face belonging to the user if the scanning indicates that the uploaded digital picture contains a plurality of human faces. Abstract: A computer based system for unobscuring and/or unconstraining demand is disclosed. Via use of the system, actual airline seat bookings may be restated in an unobscured and/or unconstrained form, facilitating improved demand forecasts for subsequent seat bookings. In this manner, seat protects may be better allocated to align with actual demand, thus increasing revenue. Abstract: An audio coding terminal and method is provided. The terminal includes a coding mode setting unit to set an operation mode, from plural operation modes, for input audio coding by a codec, configured to code the input audio based on the set operation mode such that when the set operation mode is a high frame erasure rate (FER) mode the codec codes a current frame of the input audio according to a select frame erasure concealment (FEC) mode of one or more FEC modes. Upon the setting of the operation mode to be the High FER mode, the one FEC mode is selected, from the one or more FEC modes predetermined for the High FER mode, to control the codec by incorporating of redundancy within a coding of the input audio or as separate redundancy information separate from the coded input audio according to the selected one FEC mode. Abstract: Non-volatile memory systems with multi-write direction memory units are disclosed. In one implementation an apparatus comprises a non-volatile memory and a controller in communication with the non-volatile memory. The controller is configured to select an empty memory block of the non-volatile memory for the storage of data; examine an identifier associated with the memory block to determine a write direction for the storage of data; and write data to the memory block beginning with an initial word line of the memory block or a last word line of the memory block dependent on the write direction. The controller is further configured to erase the memory unit and, in response to erasing the memory unit, modify the identifier to change the write direction for a subsequent write of data to the memory block. Abstract: In one embodiment, a method includes storing one or more content postings that each include data representative of one or more content instances. Each content posting is associated with one or more first users. The method also includes storing one or more data records associating one or more geographic locations with accessing of the content instances. The method also includes selectively sending one or more of the content postings for display on an access device associated with a second user based on a past or present geographic location of another access device associated with the second user. Abstract: A data storage device includes a memory and a controller. Read voltages are updated based on adjusting a first read voltage without adjusting a second read voltage to generate multiple sets of read voltages, and the multiple sets of read voltages are used to generate multiple representations of data. A value of the first read voltages is selected based on error correction coding (ECC) related information related to the multiple representations of the data. In another embodiment, storage elements of the memory are sensed using a set of candidate read voltages to generate sensing data that is transferred to a memory accessible to the controller. The multiple representations of data may be generated based on the sensing data to emulate results of reading the storage elements using a different combination of candidate reading voltages. Abstract: A Universal Geographic Database (‘’UGD’’) is provided that includes a real-time, automated registry/clearinghouse for the publication and retrieval of real-world locations and location-related information for businesses and other entities. By this registry, entities may publish their location and location-related information in a single place, and information services and their users can refer to this single place, via telecommunications devices, to obtain static, real-time location and location-based information about the registered locations. Each UGD record is keyed by a proprietary location address (PLA) based on the World Geographic Referencing System (WGRS). PLAs may be used as key reference and addressing terms, e.g., embedded in digital documents, websites, GPS devices, or other information services to provide links to maps, directions, and information in the registry related to such locations. PLAs may also provide a concise, user-friendly notation for location naming and designating real-world locations and on all types of location-sensitive electronic devices. Abstract: Described are techniques for performing compliance testing. Configuration state information is received for one or more devices managed using a configuration management system. The configuration state information is stored in a data container. One or more compliance tests are executed using the configuration state information to determine if the one or more devices are compliant. The one or more compliance tests are defined using one or more queries and one or more compliance rules. The one or more queries are used for retrieving a portion of said configuration state information from said data container and generating one or more result sets. The one or more compliance rules specifying compliance criteria are used for determining whether the one or more result sets include configuration state information which is compliant. Abstract: An OpenFlow (OF) adaptor comprising at least one OF port configured to communicate with an OF Controller, at least one Non-OF (NOF) port configured to communicate with a NOF switch, and at least one processor coupled to the OF port and the NOF port and configured to receive a first OF message comprising network data from the OF controller via the OF port, translate the first OF message into a first NOF message, wherein the first NOF message comprises network data analogous to the first OF message network data encoded in a format supported by the NOF switch, and transmit the first NOF message toward the NOF switch via the NOF port. Abstract: A system may include a first network in which user device(s) and a HIP server are communicably coupled. The first network may include a secure data administrator, such as a medical data system, that stores secure data. In some implementations, at least one of the user devices may include a web module and communicate with a web server through a second network. At least one of the user device may be restricted from communicating with the secure data administrator, so the user device may request data stored in the secure data administrator through the HIP server. The user device may base the requests for the data on information received from the web server. Abstract: Aspects of the subject disclosure may include, for example, providing testing criteria to a probe device located at a venue enabling the probe device to perform testing of first communication services via a first wireless access technology utilizing a distributed antenna system of the venue and testing of second communication services via a second wireless access technology utilizing the distributed antenna system according to the testing criteria, and receiving performance data from a database server responsive to the data query, where the performance data is representative of test results generated from the testing of the first and second communication services by the probe device. Other embodiments are disclosed. Abstract: A piezoelectric multiplexer includes an actuator and multiple piezo-morph beams. The actuator includes an actuator conducting head and an actuator stem, and each piezo-morph beam includes a conducting beam contact head and a beam stem manufactured out of piezo-morph material. A control voltage is selectively applied to electrical contacts coupled to the beam stems to create a piezoelectric effect that bends the selected piezo-morph beam and creates an electrical connection between its contact head and the conducting head of the actuator. A control circuit with a controller signals which piezo-morph beam to connect to the actuator. This multi-piezo-morph-beam piezoelectric multiplexer can be affixed to the electrical terminals of different electrical components (e.g., a transistor) to create an electrical cell that can be manufactured on a semiconductor chip or in a microelectromechanical system (MEMS) device. Abstract: The invention relates to a transformer construction comprising a plurality of transformer cores configured to share magnetic flux paths and, as a result, at least one of the cores comprises a post and an associated sidewall having an effective cross-sectional area which is less than that of the post. Such a construction may be employed in a power conditioning unit, for example, for a photovoltaic module, which is configured to operate the cores out of phase from each other. Also described is a transformer winding comprising a longitudinal spine having a first turn emanating from a first portion of the spine in a first transverse direction and a second turn emanating from a second portion of the spine in a second transverse direction, wherein the second transverse direction is opposite to the first transverse direction. Abstract: A trench can be formed through a stack of alternating plurality of first material layers and second material layers. A dielectric material liner and a trench fill material portion can be formed in the trench. The dielectric material liner and portions of first material layer can be simultaneously etched to form laterally-extending cavities having level-dependent lateral extents. A set of stepped surfaces can be formed by removing unmasked portions of the second material layers. Alternately, an alternating sequence of processing steps including vertical etch processes and lateral recess processes can be employed to laterally recess second material layers and to form laterally-extending cavities having level-dependent lateral extents. Lateral cavities can be simultaneously formed in multiple levels such that levels having laterally-extending cavities of a same lateral extent are offset across multiple integrated cavities. Abstract: A method is disclosed to form a metal-oxysilicate diffusion barrier for a damascene metallization. A trench is formed in an Inter Layer Dielectric (ILD) material. An oxysilicate formation-enhancement layer comprising silicon, carbon, oxygen, a constituent component of the ILD, or a combination thereof, is formed in the trench. A barrier seed layer is formed on the oxysilicate formation-enhancement layer comprising an elemental metal selected from a first group of elemental metals in combination with an elemental metal selected from a second group of elemental metals. An elemental metal in the second group is immiscible in copper or an alloy thereof, has a diffusion constant greater than a self-diffusion of copper or an alloy thereof; does not reducing silicon-oxygen bonds during oxysilicate formation; and promotes adhesion of copper or an alloy of copper to the metal-oxysilicate barrier diffusion layer. The structure is then annealed to form a metal-oxysilicate diffusion barrier. Abstract: This disclosure relates generally to a wafer having a plurality of semiconductor chips having a major surface, a metal contact positioned on one of the plurality of semiconductor chips and having a side surface and contact surface, the contact surface substantially parallel to the major surface, wherein the contact surface defines a thickness of the metal contact relative to the major surface, an underfill layer abutting the one of the plurality of semiconductor chips and the side surface of the metal contact, the underfill layer having a top surface substantially parallel to the major surface, wherein the top surface of the underfill layer defines a thickness of the underfill layer relative to the major surface, the thickness of the underfill layer being not greater than the thickness of the metal contact, and a solder bump formed in electrical contact with the contact surface of the metal contact. Abstract: A topology for memory circuits of a non-volatile memory system reduces capacitive loading. For a given channel, a single memory chip can be connected to the controller, but is in turn connected to multiple other memory devices that fan out in a tree-like structure, which can also fan back in to a single memory device. In addition to the usual circuitry, such as a memory arrays and associated peripheral circuitry, the memory chip also includes a flip-flop circuit and can function in several modes. The modes include a pass-through mode, where the main portions of the memory circuit are inactive and commands and data are passed through to other devices in the tree structure, and an active mode, where the main portions of the memory circuit are active and can receive and supply data. Reverse active and reverse pass-through modes, where data flows in the other direction, can also be used. The pads of the memory chip can be configurable to swap input and output pads to more efficiently form the memory chips into a package. Abstract: A three dimensional NAND device includes a common vertical channel and electrically isolated control gate electrodes on different lateral sides of the channel in each device level to form different lateral portions of a memory cell in each device level. Dielectric separator structures are located between and electrically isolate the control gate electrodes. The lateral portions of the memory cell in each device level may be electrically isolated by at least one of doping ungated portions of the channel adjacent to the separator structures or storing electrons in the separator structure. Abstract: Unwanted erosion of dielectric materials around a backside contact trench can be avoided or minimized employing an aluminum oxide liner. An aluminum oxide liner can be formed inside an insulating material layer in a backside contact trench to prevent collateral etching of the insulating material at an upper portion of the backside contact trench during an anisotropic etch that forms an insulating spacer. Alternatively, an aluminum oxide layer can be employed as a backside blocking dielectric layer. An upper portion of the aluminum oxide layer can be converted into an aluminum compound layer including aluminum and a non-metallic element other than oxygen at an upper portion of the trench, and can be employed as a protective layer during formation of a backside contact structure. Abstract: A memory opening can be formed through a multiple tier structure. Each tier structure includes an alternating stack of sacrificial material layers and insulating layers. After formation of a dielectric oxide layer, the memory opening is filled with a sacrificial memory opening fill structure. The sacrificial material layers are removed selective to the insulating layers and the dielectric oxide layer to form backside recesses. Physically exposed portions of the dielectric oxide layer are removed. A backside blocking dielectric and electrically conductive layers are formed in the backside recesses. Subsequently, the sacrificial memory opening fill structure is replaced with a memory stack structure including a plurality of charge storage regions and a semiconductor channel. Hydrogen or deuterium from a dielectric core may then be outdiffused into the semiconductor channel. Abstract: Apparatus and methods of generating electricity include using an optically and thermally responsive material comprising single-walled Carbon nanotubes and Copper sulfide nanoparticles. This material acts as a thermoelectric generator lacking rectifying effects. 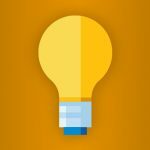 In some forms, the generator may generate electricity from a light source alone, a heat source alone, or a source of both light and heat. Some forms exhibit enhanced optical and thermal switching characteristics, light absorption, photocurrent and thermocurrent generation under light illumination or/and thermal radiation, providing a new route to obtain thermoelectricity without any cooling or heat-sink component. Moreover, measurements showed thin films of SWNT CuS NPs had significantly increased light absorption (up to 80%) compared to untreated SWNT thin films. Abstract: Method and implementation of gain-bandwidth product (GWB) tuning are disclosed. In an embodiment an operational amplifier (opamp) includes an input stage of the opamp including a differential device pair coupled to a tail device and configured to be responsive to a differential input signal for conducting a first current and an output stage of the opamp including a class AB interface stage circuit and a pair of output devices connected to the class AB interface stage circuit, wherein a first constant gm bias circuit is coupled to an input terminal of the class AB interface stage circuit. Abstract: There is described a method for establishing an NFC connection between a subscriber identity module (SIM) and an NFC device (RDR). The subscriber identity module (SIM) is connected to a telecommunications system (CELL_P) through contacts (VCC, RST, CLK, D+, GND, SWP, IO, D) of the telecommunications system (CELL_P). The telecommunications system (CELL_P) comprises a chipset (CHP) and an NFC circuit (NFCC). The method comprises measuring the level of charge of a battery (BATT) powering the telecommunications system (CELL_P) with a battery gauge. Based on the measurement, the method selects the source for supplying power to the subscriber identity module (SIM) and configures the wiring of the subscriber identity module (SIM). The disclosure also relates, in particular, to a telecommunications system, to a computer program, and to a storage medium. Abstract: A Near Field Communication method performed by a tag reader detects whether a tag is present. The method includes stimulating the tag reader’s transmitter to generate an impulse response, evaluating the impulse response generated by the transmitter to obtain an evaluated impulse response, and assessing whether a tag is present based on the evaluated impulse response. Abstract: Systems, devices and techniques for receiving a signal comprising a quadrature duobinary modulated signal include performing channel equalization of the received signal using a constant multi-modulus to obtain a set of channel estimation coefficients and a stream of symbols, partitioning, based on modulus, the stream of symbols into three partitions, estimating carrier frequency based on the partitioned stream of symbols, recovering a phase of the signal using a maximum likelihood algorithm, and decoding the partitioned stream of symbols to recover data. Abstract: The present invention relates to method and apparatus for uplink data transmission, a user equipment, a computer program and a storage medium. The method comprises: acquiring a data error rate of data blocks transmitted on an uplink of a UE; constructing a new data block, wherein a size of the new data block is smaller than the size of the transmitted data block currently, if the block error rate is greater than a threshold; and transmitting the new data block on the uplink of the UE according to a first power currently allocated to the UE. The present invention can enhance the performance of uplink data transmission. Abstract: A method for determining a symbol boundary in a data packet belonging to a received OFDM signal is provided. The data packet includes a first training filed and a second training field, which begins with a guard interval. The method includes detecting the beginning of the data packet, and starting an automatic gain control process. The method further includes, after the automatic gain control process is locked, determining autocorrelation peaks and estimating the symbol boundary from times of the autocorrelation peaks. Abstract: A method implemented by a software defined network (SDN) controller, the method comprising receiving, from a network node, a request for path optimization, wherein the request comprises information identifying the network node and a destination node, forwarding the request to an application layer traffic optimization (ALTO) server, receiving, from the ALTO server, path information that identifies a plurality of SDN domains to be traversed from the network node to the destination node, wherein the plurality of SDN domains comprises a first SDN domain, in which the SDN controller resides, and a second SDN domain, in which an edge node known by the SDN controller resides, and determining a first path segment from the network node to the edge node. Abstract: A packet forwarding method that includes receiving a packet from a traffic classifier at a host that comprises a virtual machine (VM), and a first hypervisor for the host that provides a first set of routing instructions that provides routing instruction to forward the packet to a port of the VM, and wherein the VM comprises a plurality of virtual network functions (VNFs), and a second hypervisor for the VM that provides a second set of routing instructions that provides routing instructions to forward the packet to the plurality of VNFs based on an input, processing, by the host, the packet using the plurality of VNFs in accordance with the first set of routing instructions and the second set of routing instructions, and forwarding, by the host, the processed packet to a network device. Abstract: Methods, systems, and computer readable mediums for managing credential information are disclosed. According to one method, the method includes, at a credential management module (CMM) associated with a converged infrastructure system (CIS), establishing communication with at least one or more converged infrastructure elements (CIEs) included in a CIS. The method further includes receiving a credential policy corresponding to each of the at least one or more CIEs and generating credential information in accordance with the received credential policy. Abstract: To maximize efficiencies and to reduce termination costs of inter-carrier exchanges, an auto-dialer detection system enables an inter-carrier network switch to detect, in real-time or in near real-time, calls that are originated by auto-dialers. A call router of the switch may receive an incoming call attempt that includes a particular Automatic Number Identification (ANI). The auto-dialer detection system allows for a real-time or near-real time determination, based on the ANI and contents of a cache during a sliding window of time coincident with the reception of the origination, whether or not the call should be routed through the switch. Further, the auto-dialer detection system provides a real-time or a near real-time update to the cache contents to enable further real-time or near-real time detection and blocking of auto-dialed calls. Overrides to the cache (e.g., to always allow and/or to always block calls that include certain ANIs) may be provided. Abstract: Systems and methods for developing, deploying, providing, and/or operating location-based services for controlled-environment facilities are disclosed. In some embodiments, a method may include receiving, from a resident of a controlled-environment facility, a request to establish a remote communication with a mobile device operated by a non-resident of the controlled-environment facility. The method may also include allowing or denying the request depending, at least in part, upon a physical location of the mobile device at the time of the request to establish the remote communication and subsequent monitoring during the allowed communication. The method may also include terminating an allowed remote communication based on the monitored location of the mobile device during the remote communication. In some cases, the method may also include comparing an indication of the physical location with a geo-fencing rule and taking a predetermined action in response to the comparison. Abstract: Embodiments are provided for compressing a color index map in video coding applications including screen content images. An embodiment method includes obtaining, at a video codec device, an image block, and generating a color index map comprising a plurality of entries and representing the image block. Each one of the entries is assigned a color index indicating a respective color. The method further includes assigning, in a correct prediction map, a first bit-value for each one of the entries that is predictable by a neighboring entry in the color index map, and a second bit-value for each one of the entries that is unpredictable by any neighboring entry in the color index map. Further, an actual value from the color index map for the each one of the entries that is unpredictable by any neighboring entry is added in a sequence of non-predictable color indices. Abstract: Systems and methods for conveying wavelength tuning information from a pluggable optical transceiver to a host device determining the wavelength tuning information of the pluggable optical transceiver operating in the host device; appending the wavelength tuning information as part of existing data communicated between the pluggable optical transceiver and the host device; and providing the existing data with the wavelength tuning information incorporated therewith to the host device. Abstract: An improved manually operated flip dog mountable ceiling speaker enclosure, for ceiling or other panel installation, has a biased sliding ratchet block that can be latched in place by an extension from a T-handle of an integral actuator rod. The ratchet block is controlled in its sliding motion by alignment rods extending from a vertical portion of a base and slidingly received in alignment bores of the ratchet block. A face of the ratchet block has downward pointing ratchet teeth that engage upward pointing ratchet teeth on a barrel of a flip dog to hold the flip dog in a clamped position. Over time, the biasing springs may lose their strength, but the latching of the ratchet block obviates this problem. Abstract: A method is provided for redirecting a call initiated from a portable communication device. The method includes screening calls initiated from the portable communication device, and on the portable communication device, automatically redirecting the call initiated from the portable communication device from a normal communication network to a specified service provider communication network when the screening determines that the call matches predetermined criteria. The method also includes authenticating a user account, executing a visual IVR application that visually interacts with a user of the portable communication device upon authentication of the account, and forwarding the redirected call via a communication network to an alternate system when the authentication of the account fails. The method further includes retrieving personalized account information from the service provider for use by the visual IVR application upon authentication of the account, and displaying selected retrieved personalized account information. Abstract: Technology for a target evolved node B (eNB) operable to facilitate handover is disclosed. The target eNB can receive a handover request message to hand over a user equipment (UE) from the source eNB to the target eNB. The handover request message can include an evolved packet system (EPS) bearer group identifier (ID) indicating an EPS group bearer of the source eNB and associated with the UE, a last UE indicator to indicate whether the UE is a last UE of the source eNB to use the EPS group bearer, and a downlink (DL) traffic indicator to indicate whether the DL traffic for the UE during handover is negligible. The target eNB can perform a handover procedure to establish a connection with the UE based on at least one of the EPS bearer group ID, the last UE indicator, or the DL traffic indicator included in the handover request message. Abstract: A method for updating location information includes detecting a change in mobility of a second device, and determining whether an update condition has been met. When the update condition has been met, the method also includes updating a first location management function in accordance with location information of the second device, and forwarding the location information of the second device to a second location management function. Abstract: A method for transmitting control information to a wireless node includes determining, by a communications controller, a first resource assignment parameter according to a pseudo-random sequence derived from an identifier, and mapping, by the communications controller, using the first resource assignment parameter, a demodulation reference signal associated with the wireless node onto a first resource located in a data region of a subframe. The method also includes mapping, by the communications controller, modulated control information associated with the wireless node onto a second resource located in the data region of the subframe, and transmitting, by the communications controller, the subframe to the wireless node. Abstract: An exemplary system and method for dynamic channel allocation in an LMR system includes using one or more preference indicators to dynamically determine a channel allocation priority to be used for channel allocation when channel allocation requests are received. The preference indicators may include a channel failure indicator (e.g. a channel health indicator based on repeater failures), a channel priority indicator, a radio frequency interference indicator, a high reflected power indicator, an excessive current drain indicator, a loss of backbone communications indicator, and a channel usage indicator. If more than one preference indicator is used, the channel priority ranking may be determined using any of a variety of weightings and prioritizations of the various preference indicators to dynamically generate the channel allocation priority. The dynamic channel allocation system may include one or more site controllers, servers, and/or one or more processors configured to implement the method of dynamic channel allocation.